Oh this is so cool. I love the funky look of the fish. Your fish are so fun and funky! Great color choices. Great Father's Day card! These fish are perfect. They remind of Koi fish I saw in a pond once! A great masculine card! OMG, I totally love this card. Such a pretty Japanese koi card. This is awesome - the interplaying of the shapes has so much movement! Great colours, too! this is just amazing, Maureen! 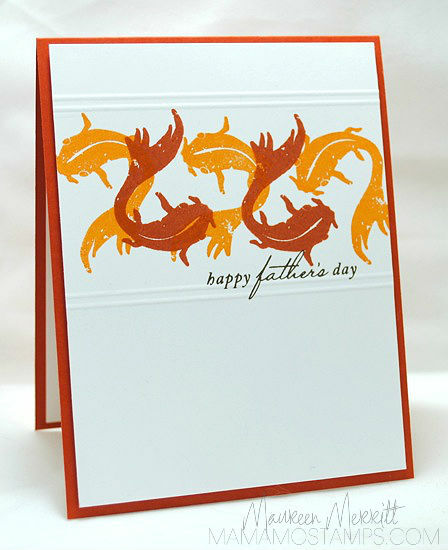 I love the way you stamped the koi and the colors are so perfect for a guy! I love how you have twined those fish together!! Honestly I find this card one of the most beautiful and elegant cards I have seen. LOVE this card, the graphic, clean nature of it. That stamp, and the way you've used it, is fabulous! What a wonderful Father's Day card! Great colors, cool layout! 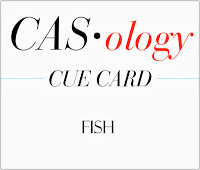 This is such a great masculine card! I love your clever design and choice of colors...Awesome card! This is stunning - super card! What fabulous colours you've chosen for this beautiful card Maureen! I love the pattern you've made with the fish too.